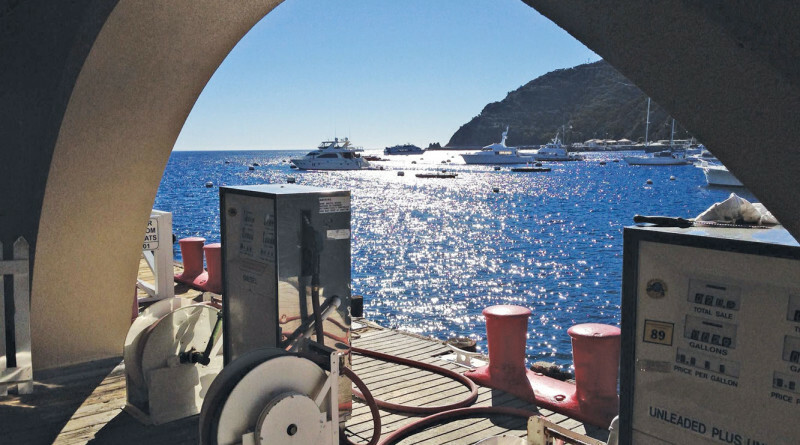 AVALON — A planned upgrade of the fuel dock at Catalina Island’s busiest harbor could finally see the light of day after Avalon City Council held a special meeting Oct. 15 to award a contract to the most affordable and responsible bidder. The council discussed and reviewed bid results, grant funding, project timeline, total costs and whether any money from the city’s General Fund would be used. Council members decided the contract would be awarded to the bidder closed to a base bid price it established, which was $2,572,500. City staff informed council members Cal Boating’s grant will expire March 16, 2016 and every effort would be made to expedite the construction process. How much the construction would cost the city of Avalon depends on which vendor is awarded the contract, though The Log previously reported a new fuel dock’s price tag could be $2 million. The fuel dock would be closed during construction, meaning boaters in Avalon Harbor would have to fuel up at a temporary station. The temporary fueling station would be located at the Rescue Dock and feature a split trailer with two 500-gallon tanks, one for gasoline and the other for diesel. Council members also authorized the purchase the 1,000-gallon fuel trailer. The trailer would be shipped from Kansas to Catalina Freight Lines in Wilmington before ending up in Avalon. A city staff report indicated the fuel trailer would cost $6,900 plus tax and shipping to purchase and another $1,700 for pickup and delivery. Installation costs were not determined at the Oct. 20 meeting. Assistant Harbormaster J.J. Poindexter said the trailer would be transported from Kansas to Wilmington within four days. Poindexter told council members the temporary fuel trailer, per California Coastal Commission requirements, cannot be left outdoors overnight. The temporary trailer will accordingly be stored in a warehouse each evening and brought back to the shore for boaters to use each morning. Avalon has tried to update its fuel dock for years. City staff acknowledged the fuel dock is currently in poor condition. A permit to replace the fuel dock was approved by the California Coastal Commission in August. Plans to replace the fuel dock pier, which was built in the 1920s, had been circulating for about seven or eight years. It is Avalon’s only on-water fueling station, though another fuel dock is located at Two Harbors. City leaders initially hoped to build a fuel dock made of concrete but plans stalled when Avalon could not find enough funding to cover the $3 million bill. The contractor will be expected to demolish the current fuel dock and build a new one made of timber wood, install an up-to-date fuel office and construct a men’s and women’s restroom. A new café could also be included in the plans. Council members revisited the fuel dock bidding process at its Nov. 3 meeting.